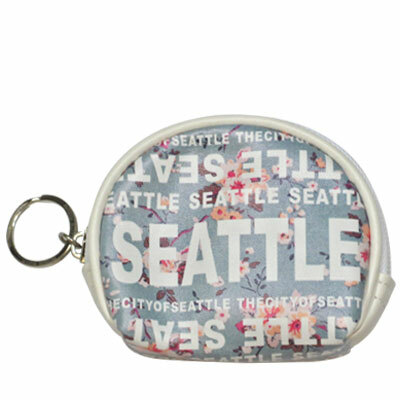 Coin Purse with Key Holder. Round. WA. R.R. Seattle. Blue. Floral. WSE74102-G.